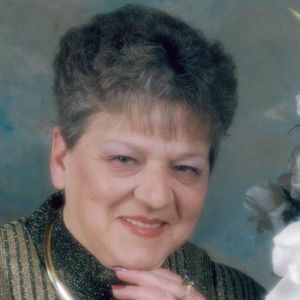 Janet Waterworth, 74, of Beaver Dam and formerly of Randolph and Columbus passed away on Monday, April 01, 2019 at her home. Janet was born the daughter of Harry and Lucille (Miller) Murray on January 16, 1945 in West Allis, WI. She was married to Thomas Lukas. She was later married to Dwayne Waterworth on June 4, 1980. Janet enjoyed art and painting, watching the Packers, as well as going to flea markets. She will be remembered for her wonderful cooking and celebrating the Christmas season year-round. Janet loved to spoil her grandchildren and spending time with her pet dogs. Janet is survived by her husband, Dwayne of Beaver Dam; her children: Kelly Stokely of Beaver Dam and Tom (Sherri) Lukas of Beaver Dam; her step-children: Shannon (special friend, Caroline) Waterworth of Appleton, Wendy (Steve) Martin of Chattanooga, TN, Tom (Cheryl) Waterworth of Cottage Grove, William (Michele) Waterworth of Marengo, IN, and John (Missy) Waterworth of Pine Village, IN; 10 grandchildren; nieces, nephews, other relatives and friends. A private family funeral service will be held at the Koepsell-Murray Funeral Home in Beaver Dam. Interment will take place at St. Michael's Cemetery in Beaver Dam. Janet's family would like to thank Hillside Hospice in Beaver Dam for all their care and support. Add your thoughts, prayers or a condolence to Janet's guestbook.